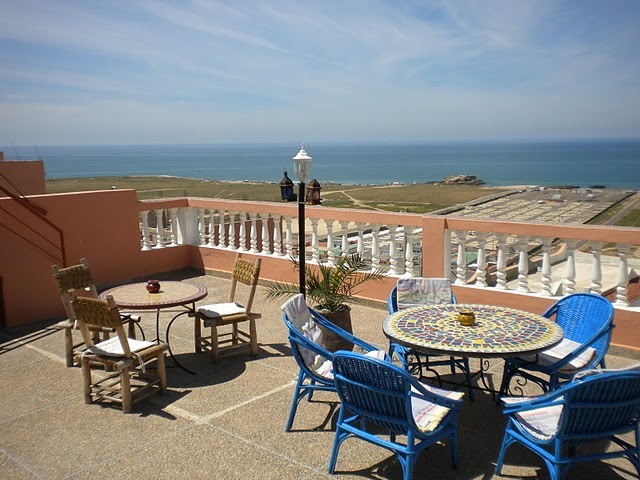 Surf camp between Taghazout and Agadir with great views over the best Moroccan surf spots, all the comfort, great surf & yoga packs. 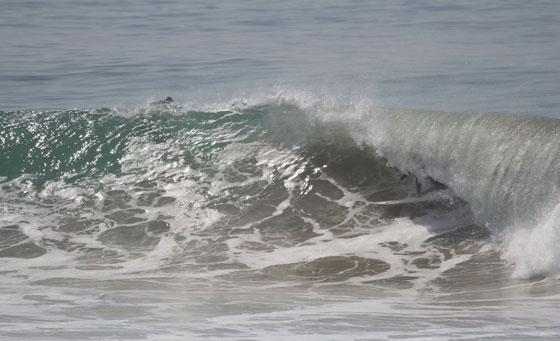 Right in front of Banana Beach Break! 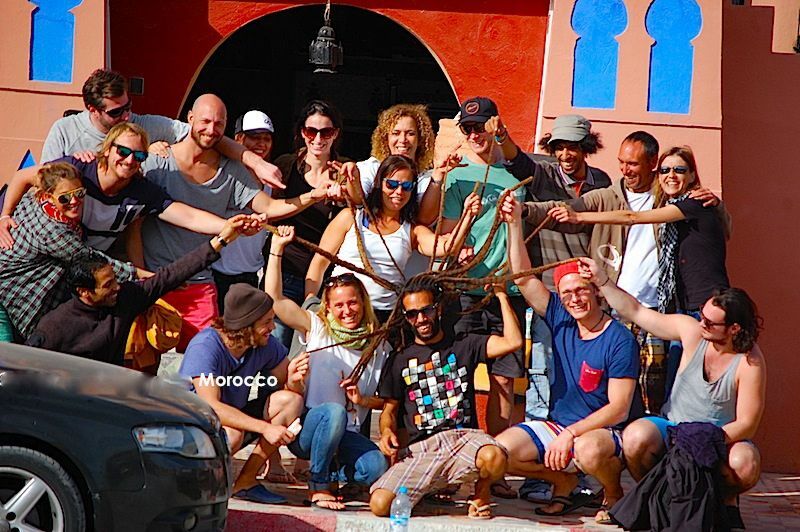 The best deals for surf holidays in Morocco all year round! 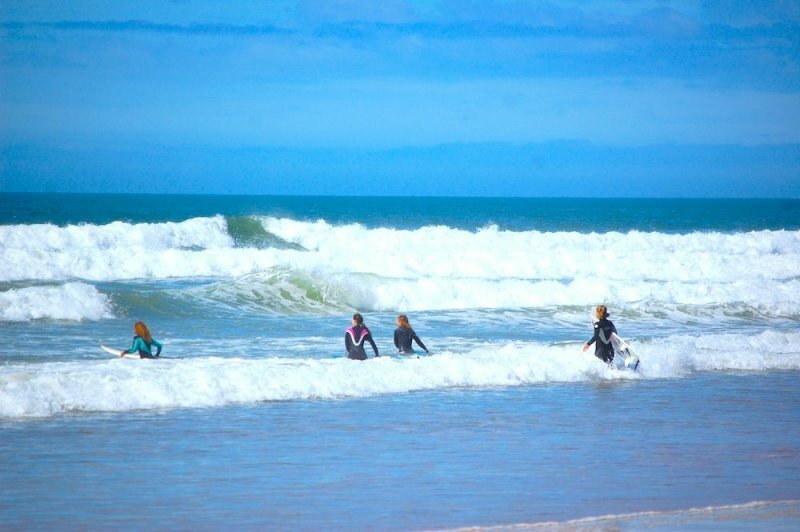 Tamraght Surf Camp is set on a strategic high point of Tamraght village offering open views over the Atlantic ocean and some of the surf spots between Anchor point and Km 11! 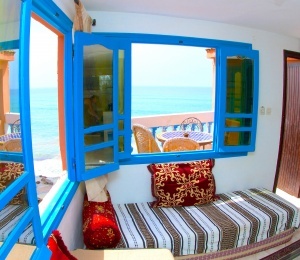 Tamraght is an ancient fishing village, offering a more relaxing surf experience when compared to Taghazout. 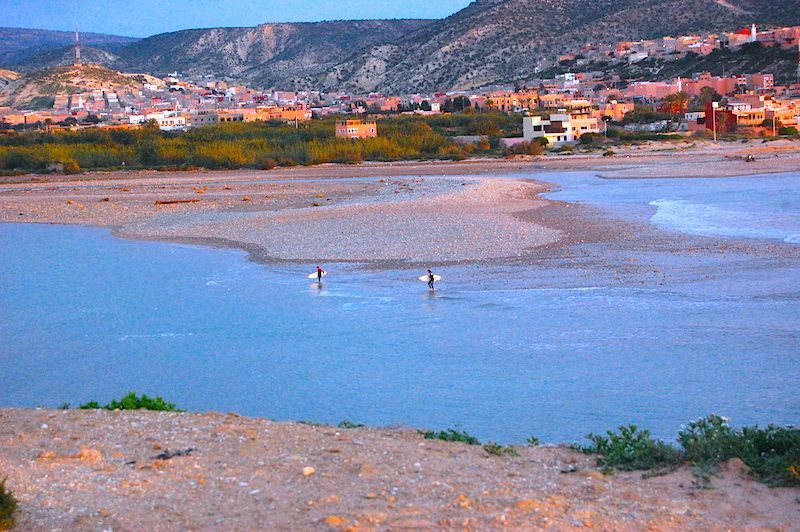 This surf town is usually preferred by surfers willing to chill out or combine yoga with surf lessons. 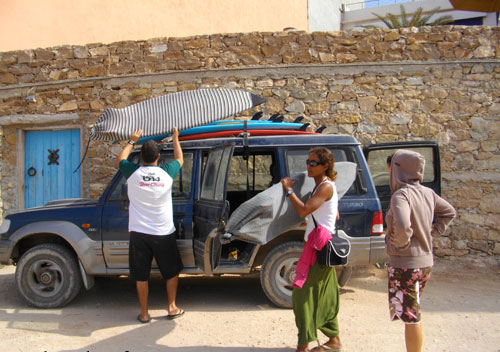 The surf camp has a privileged location between Agadir and Taghazout, easy to reach all the surf spots in South Morocco. 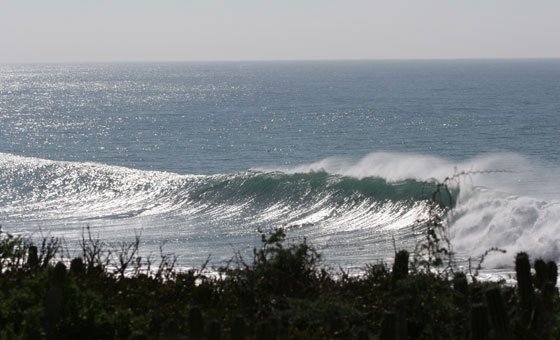 There's a great choice of waves and variety of surf breaks in a short distance, becoming a famous destination for Surfari packages in Tamraght. 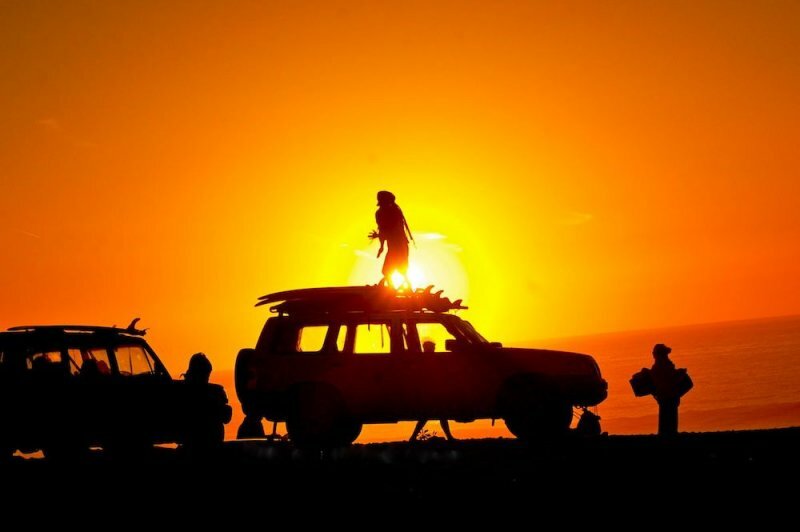 We take you on a surf adventure to Morocco, surfing in Africa is something you’ll never forget! 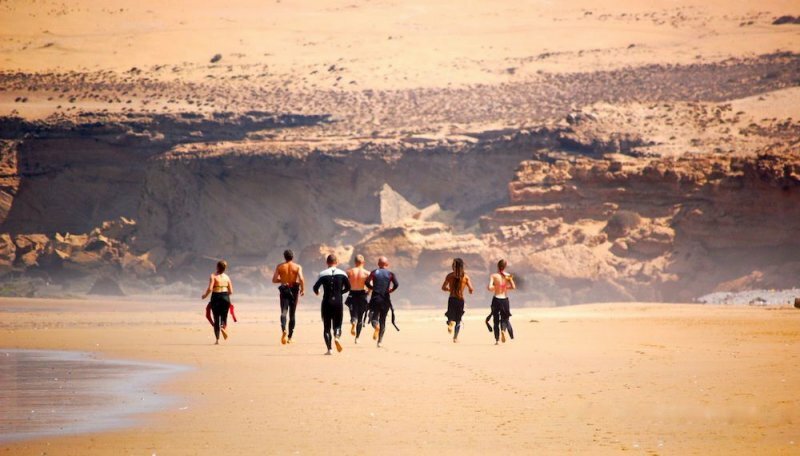 Our surf guides will welcome you at Agadir International Airport and take you directly to the surf camp in Tamraght, just 15 km away. 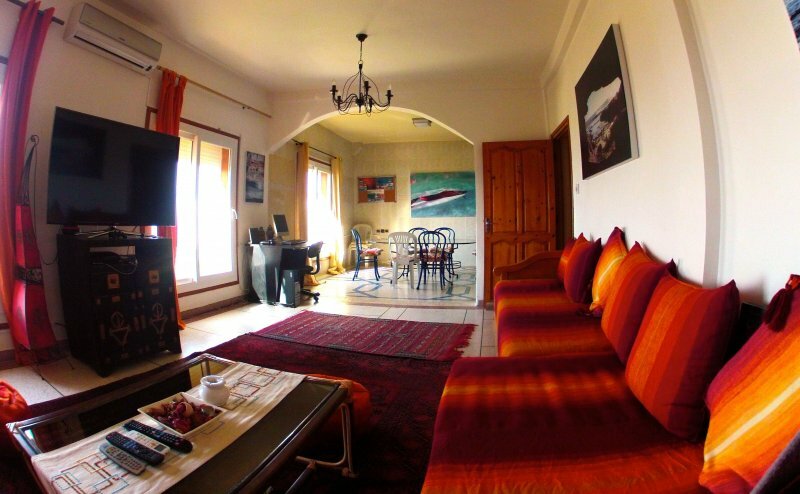 Return airport transfer and daily transport to the beach is included and all surf equipment is provided by Tamraght Surf Camp. 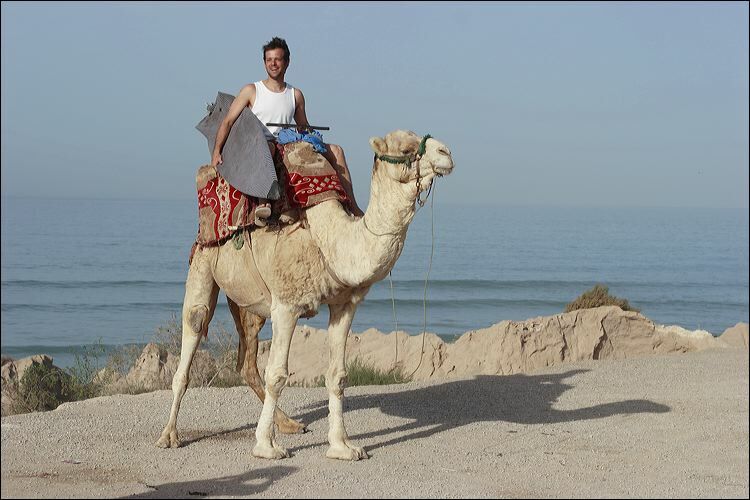 If you want to enrich your surf trip to Morocco then we recommend adding extra activities to get the real African adventure, including desert tours, camel riding, quad driving and tour to nearby secret waterfalls! 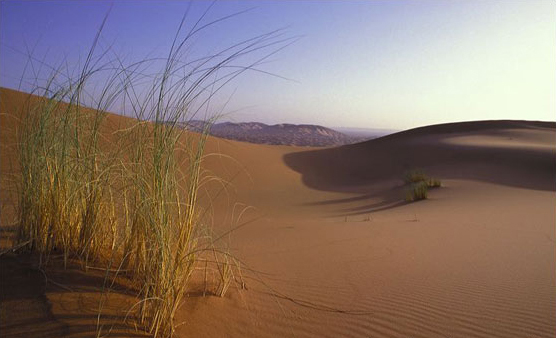 Feel the exiting African spirit of an endless summer with average winter temperatures of 15 Cº. 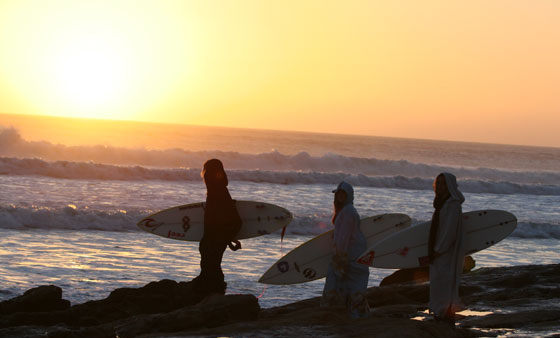 In fact, Morocco is one of the closest surfing destinations for European surfers during the Winter time. 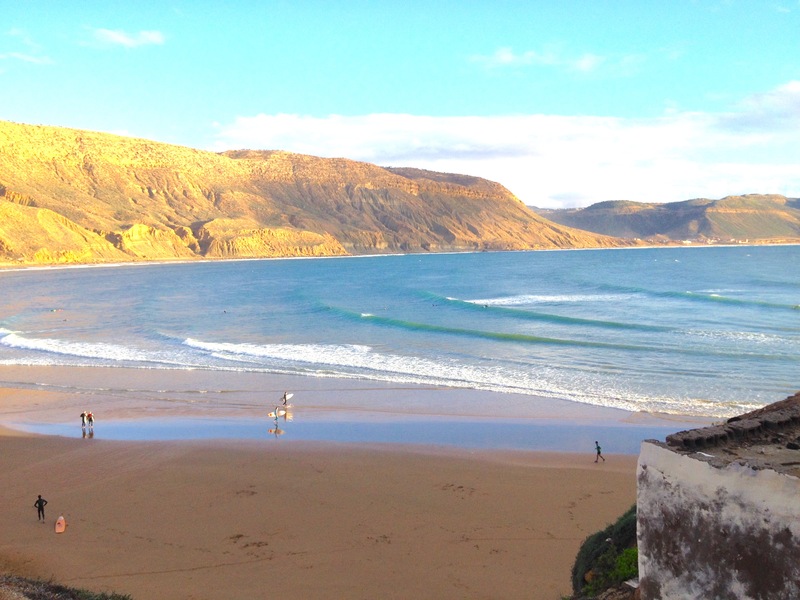 Every day at Tamraght Surf Camp starts with breakfast and a short daily briefing about the surf conditions. 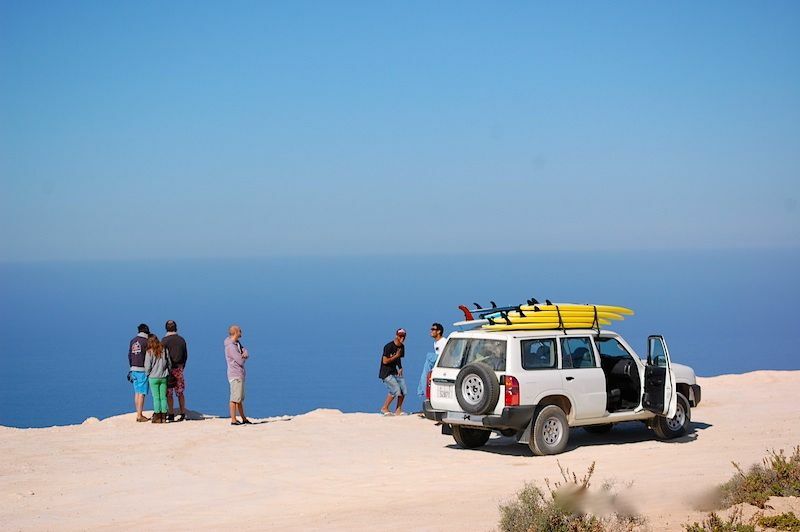 Then it’s time to load up the 4x4s with all the surf gear and hit the waves. 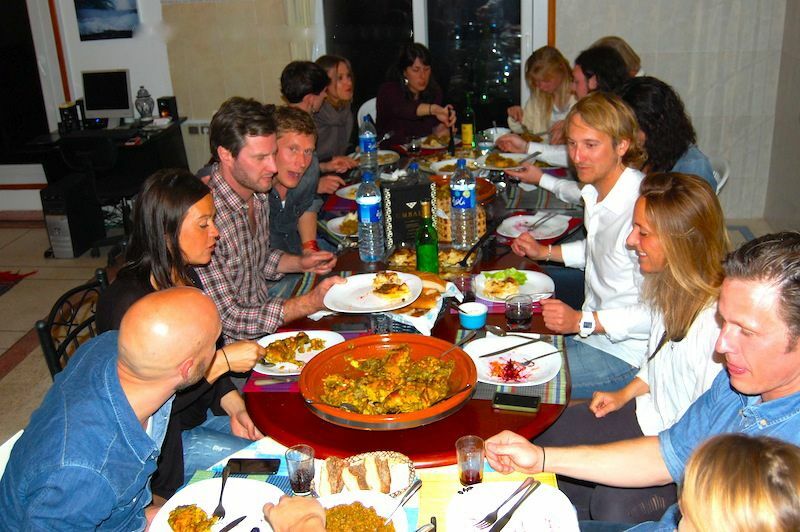 After exhausting 2 or 3 surf sessions, the surf instructors will take you back to the Surf House where you can relax and chill out with other surfers and guests during a rich and delicious dinner in traditional homemade Moroccan cuisine. Dinner is always served outside in the terrace on the sunset. 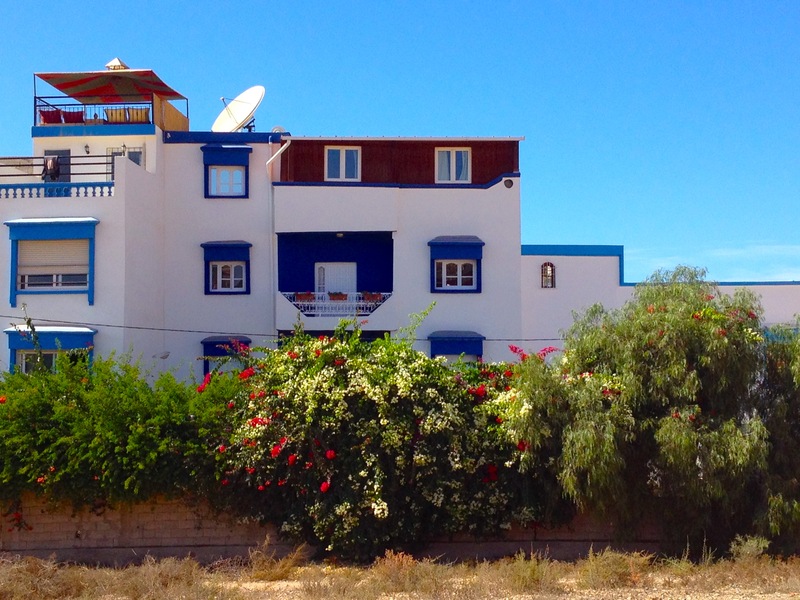 At the surf house you’ll have a great community atmosphere in a hostel-style shared accommodation and full use of WI-Fi and all the facilities in the villa. 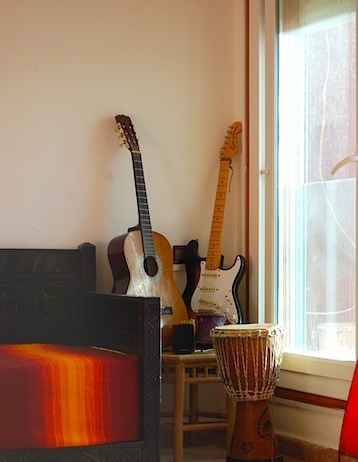 You can choose to stay in a private room if you wish and between the Bed & Breakfast pack and the Full-Board pack with all included! 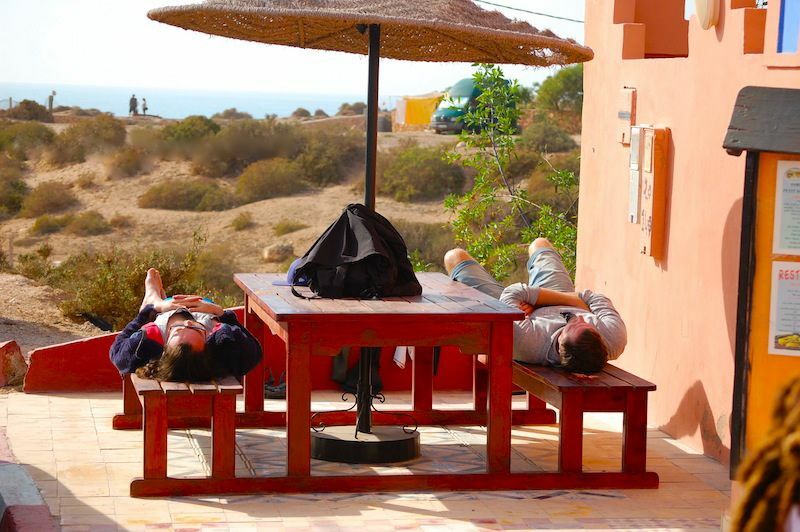 Tamraght Surf Camp and its surf school is a great choice for those looking for genuine Moroccan hospitality and comfort at a very affordable prices! 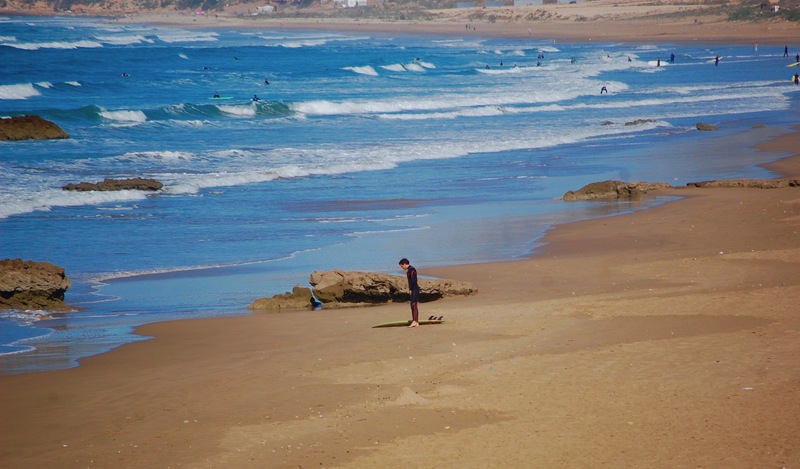 Tamraght Surf Camp is located in the peaceful and quiet village of Tamraght, 5 km south of Taghazout and 15 km north of Agadir. 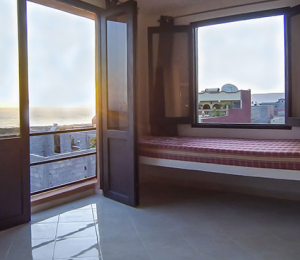 The surf house has the best views over the Atlantic Ocean, you can literally check the swell from your bedroom window and balcony. 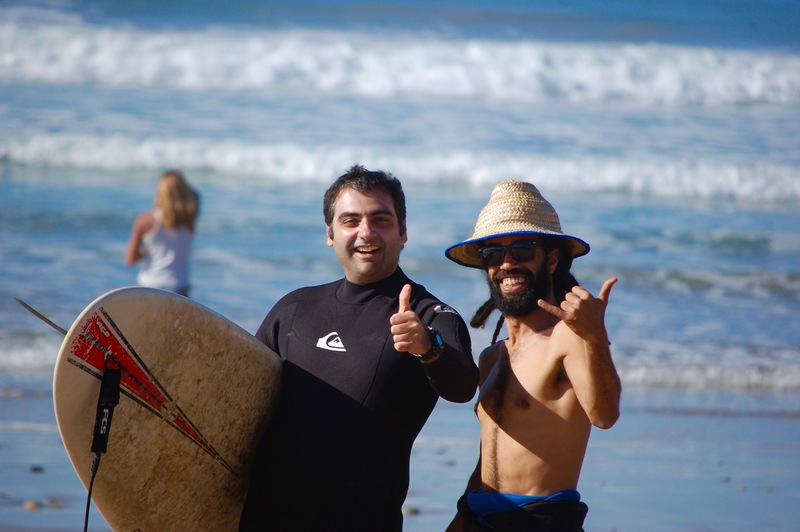 The surf house provides packages with full-board with surf lessons more oriented for beginners and surfari packages for surfers with more experience. 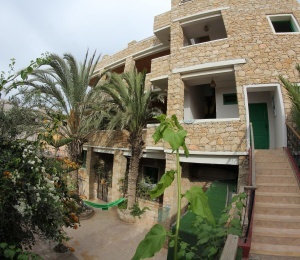 The rooms are hostel type sharing accommodation, but you can also select a private room and have full use of all the facilities of the villa, namely the fully equipped kitchen, nevertheless breakfast and dinner are included in the normal surf camp packages. 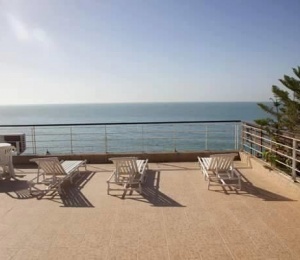 Wi-Fi is available in this beautifully decorated surf house with awesome wide open views of the ocean. 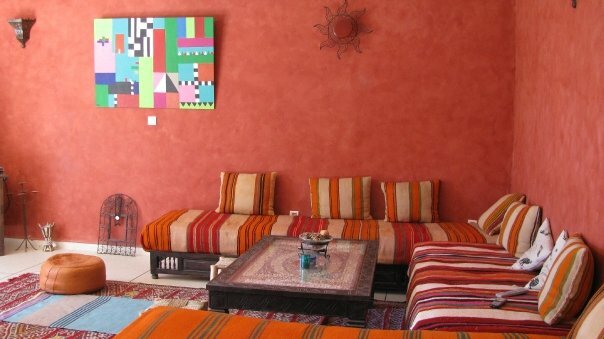 Tamraght is a great choice for those who seek the genuine Moroccan hospitality at very affordable prices! 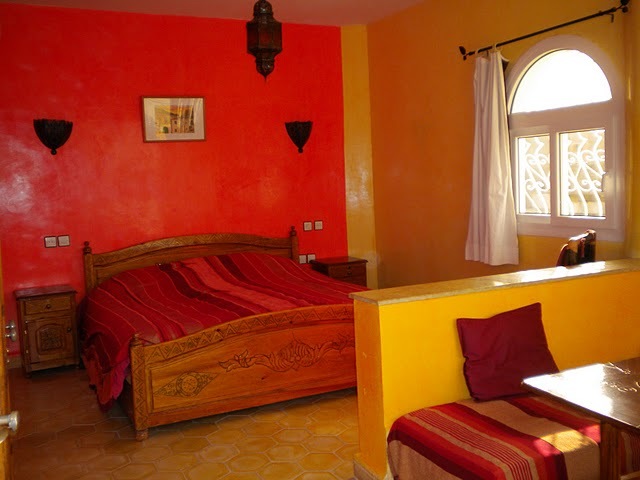 All the decoration had in mind the true Moroccan colours and theme. 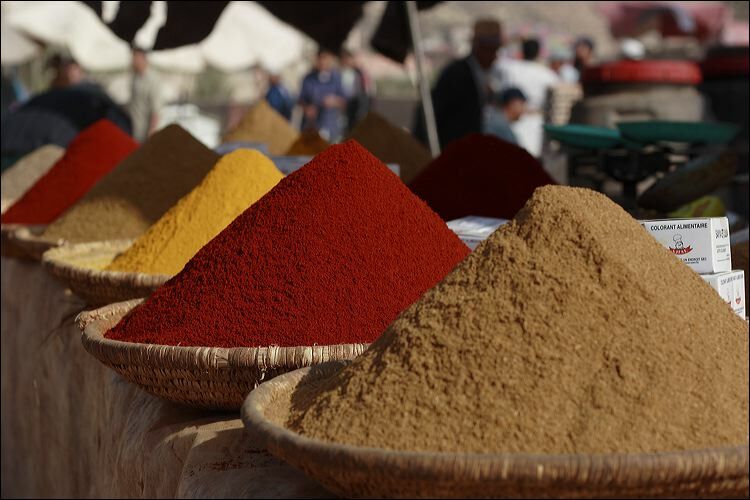 A rich and delicious traditional Moroccan dinner is served daily outdoors, offering delicious Moroccan cuisine cooked by our local chef! 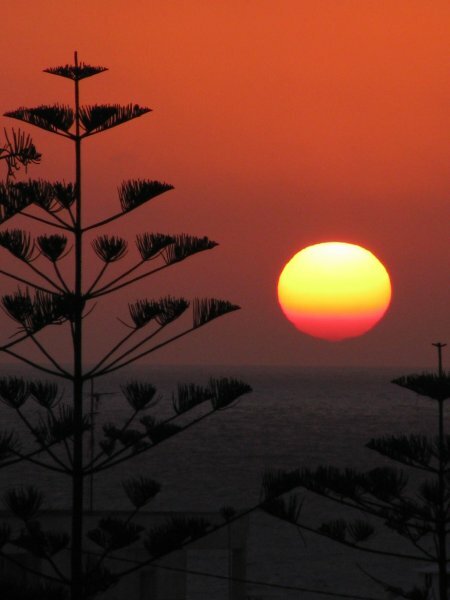 You will have the chance to chill out with other surfers and travelers from all around the world in our outdoor terrace watching the beautiful African sunset. 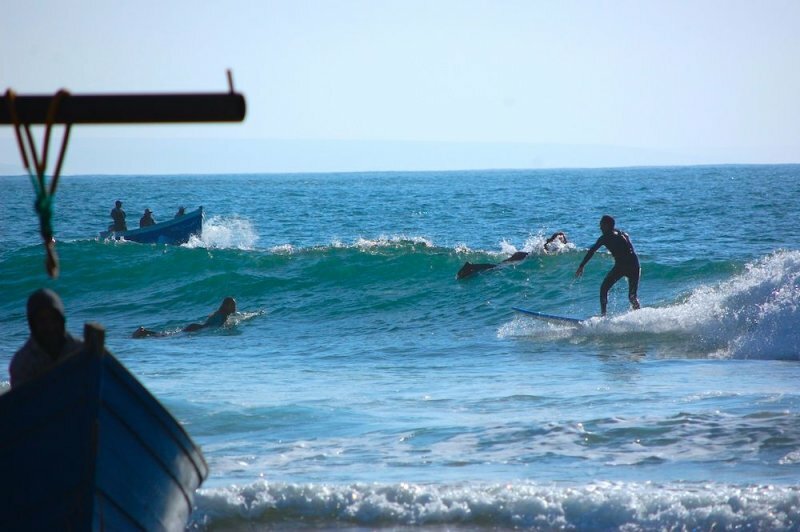 Tamraght Surf Camp is located in a privileged place and right on the shoreline and to some of the most famous surf spots in Morocco. 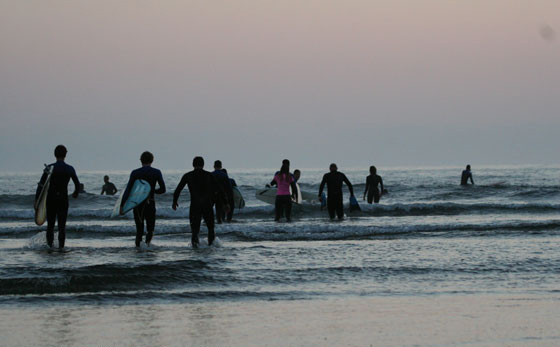 The surf camp and surf school is set on a high ground so that you have wide open views over the ocean. You can actually check all the spots from Anchor point till Km 11! 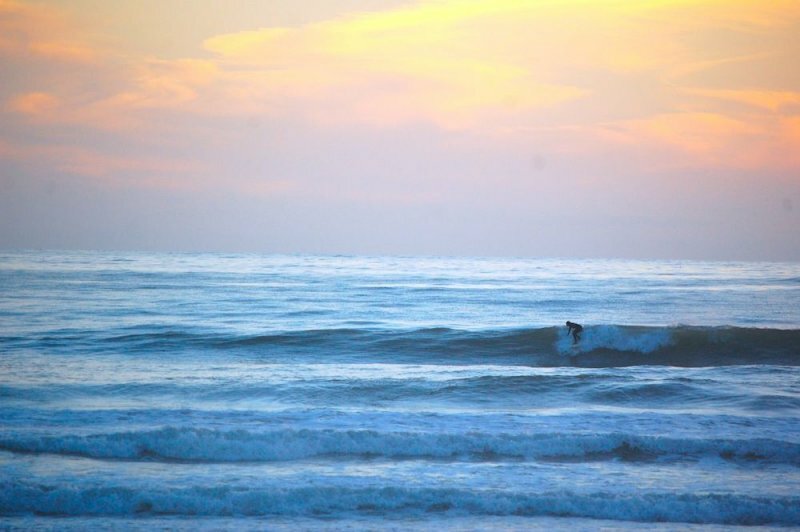 This world famous surfing playground assures you a great choice of uncrowded waves and variety of surf breaks so that you’ll always find a break working nearby, for surfers of all levels. 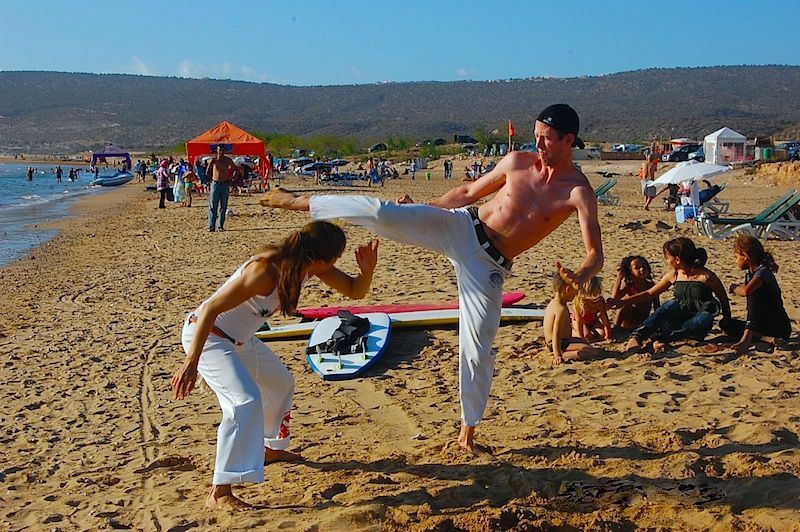 The closest break to the surf camp is Banana Beach break, a perfect surf spot for beginners leaning to surf in Morocco, having surf lessons in a safe, sheltered and sandy bottom beach. 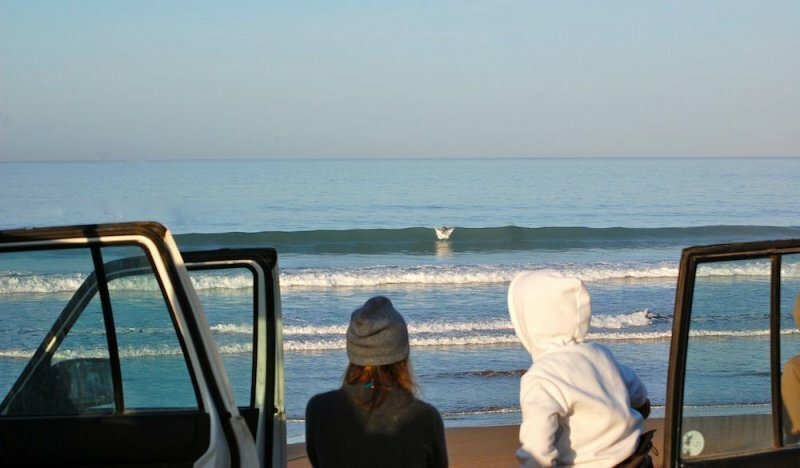 Let our experienced surf guides lead you directly to the spot. 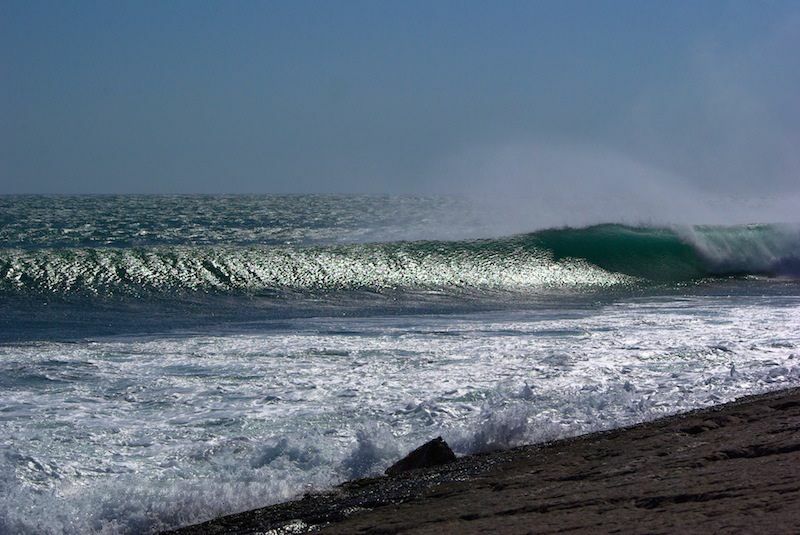 After many years of teaching and local knowledge of the swell, tides, winds and beach breaks, they will know what kind of wave you’re looking for. One thing is certain! 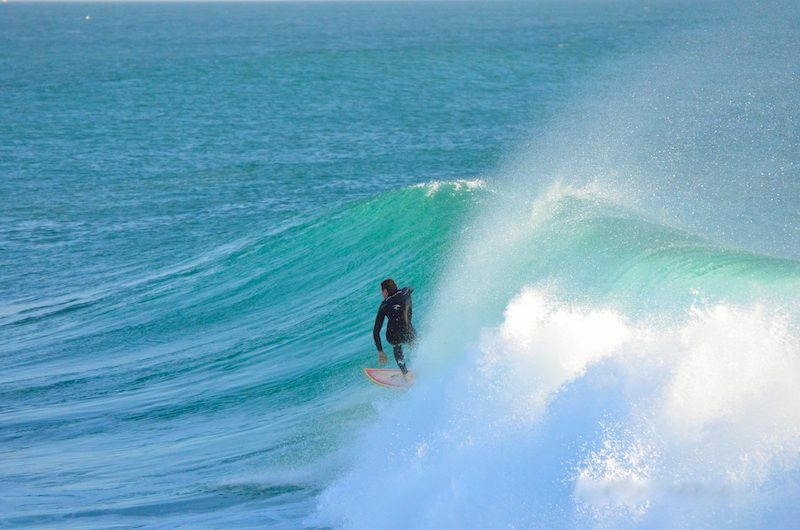 No one leaves Morocco without surfing a few waves! 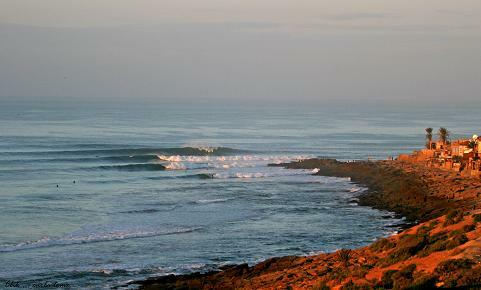 If you’re looking for some more challenging waves, you’d better choose the Surfari pack and our surf guides will take you to some of the best point breaks in Morocco like Desert Point, Killer Point and other surf breaks such as Imesouane, Boilers, Desert Point, Killer Point, La Source, Cro Cro, Devils Rock, Agadir Bay or Tifnit a few minutes driving. 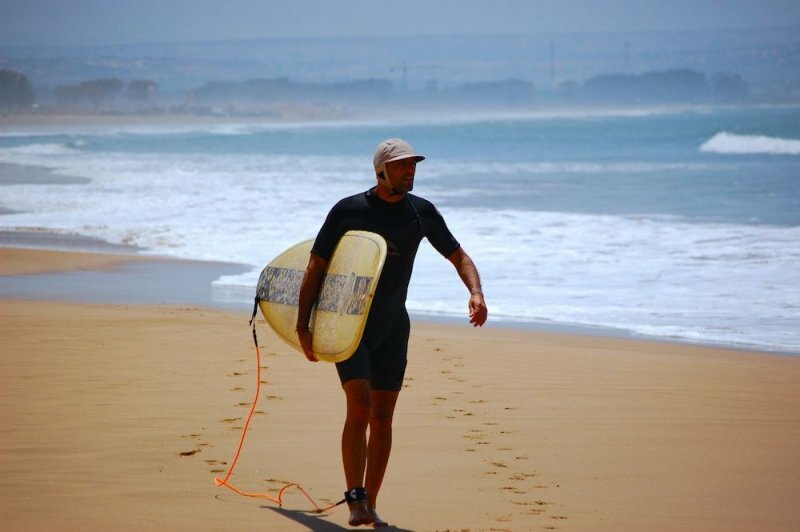 You can always opt for nearby relaxed surf session surfing until the sunset the warm waters of Tamraght Bay, right in front of the Surf Camp. 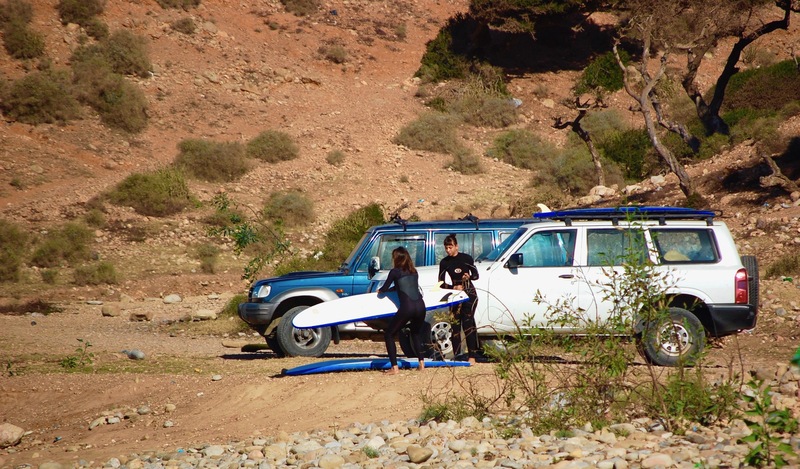 Surfing in Morocco is actually a privilege experience that only the ones who tried know the feeling. 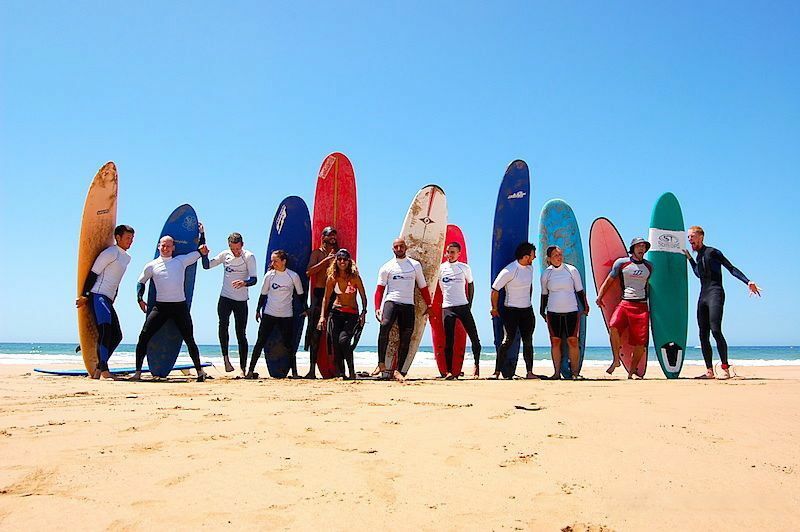 Tamraght Surf Camp is a unique place that can really offer unforgettable surf experiences, full of adventure that every surfer dreams. 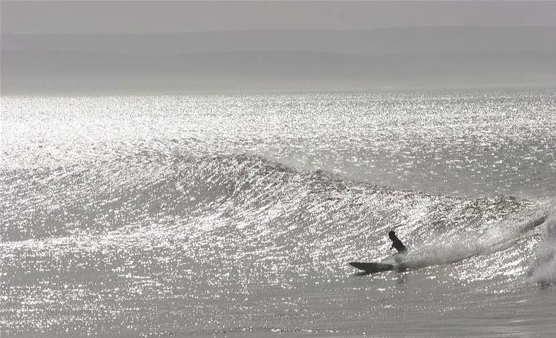 The perfect place for your surf holidays in Africa! 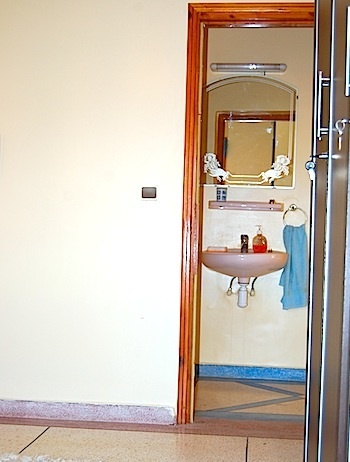 SURFINN © 20-04-2019 04:46:04. ALL RIGHTS RESERVED.